Please visite our announcement page for more details. Tartine et Chocolat daycare offers a high quality program where your child is recognized as a whole person with a unique personality, who is respected, valued and considered to be an enrichment to our daycare centre. Our knowledgeable staff provides your children with a stimulating program that allows them to develop at their own pace, and according to their own social, emotional, cognitive and physical capacities, supporting them to reach their full potential. 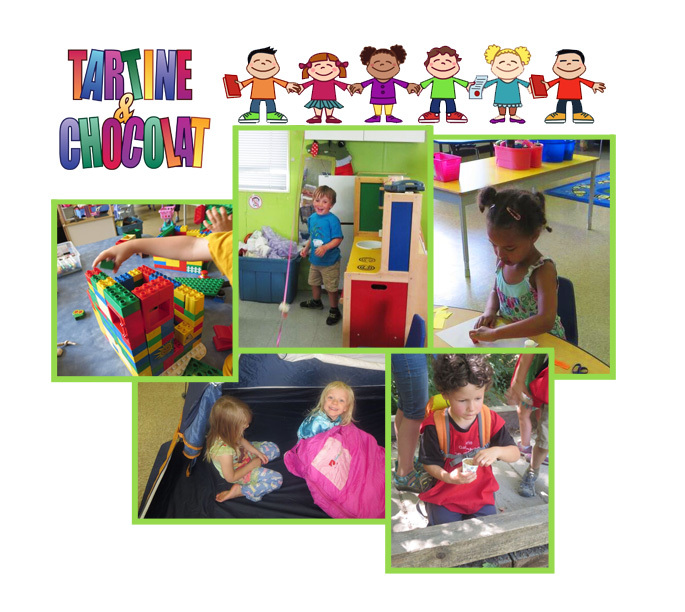 Tartine et Chocolat daycare promotes the growth and development of children through play-based learning, acquiring practical skills and guided group discussions - playing an important role to families in the Francophone community. Our daycare is valued within the Francophone school community as we help prepare your child to play an integral role in this community through sharing and cultivating Francophone culture, language and values. Tartine et Chocolat prepares children ages 3 to 5 years to continue following the French program of education as provided by the Conseil Scolaire Francophone (Francophone School Board) of British Columbia. Tartine et Chocolat is a non-profit preschool/daycare run by a parents' council. Our hours of operation are from 8 am to 5 pm, Monday to Friday.